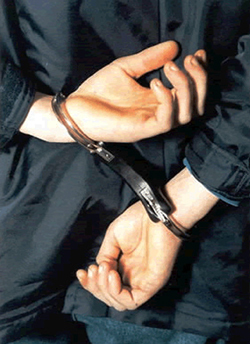 If you have been arrested, Canton Bail Bonds can help with your release from jail 24/7. Don’t hesitate to call Anytime Bail Bonding, Inc.’s Canton office today at (770) 720-1033. We are conveniently located at 3275 Marietta Highway, Canton, GA 30114. When you are arrested, it is important to start the bail bond process quickly. The sooner you contact our Canton Bail Bonds, the sooner we can get you or your loved one home. When arrested, a Judge will determine if a bail bond is set based on a defendant’s criminal history, court appearances, ties to the community and dangerousness to the community. A percentage of the amount of the bail is required, usually between 12 to 15 percent of the total bail bond, to secure release through a bail agent. Additional fees may be required. This is more affordable than paying the full amount of the bond to the court. Please be prepared to provide the following information on the defendant: date of birth, arresting charge, jail being held in (county, city, state), arresting agency, booking number and bail amount. Sometimes the amount of the bail can be quite high. Anytime Bail Bonding, Inc. understands that things happen at the worst possible time and we may be able to arrange a payment plan for you. What is the Bail Bonds Process in Canton? Once you call Canton Bail Bonds, we will explain exactly what we need to get the bail bond process started. We may also require collateral to secure a bail bond. Often real estate is taken as collateral, but bail bondsmen can also accept stocks, bonds, jewelry and cars as collateral. This will be returned once the bail bond contract has been fulfilled. You will be an integral part of this process as a third-party indemnitor who will guarantee the bail bond for your loved one. As soon as you have been arrested, you should contact a bail bond professional in Canton with Anytime Bail Bonding, Inc. Even if bail has not been set for your loved one, we can begin the paperwork as soon as we get information on the defendant. Once the bond is set, we can secure your loved one’s release in just a few hours. Canton Bail Bonds is dedicated to providing you with the help needed during this difficult time in your life. Our bondsmen are knowledgeable professionals who can explain the in’s and out’s of the bail bond process and help you get home as quickly as possible. Anytime Bail Bonding, Inc. has been in business for more than 20 years and we are ready to assist you. Call us today at (770) 720-1033.